Ideal for overnight treatment of Plantar Fasciitis, Achilles Tendinitis , plantar flexion contractures, arch pain and sTrain and pronation. Designed to comfortably stretch the plantar fascia and Achilles tendon during sleep. 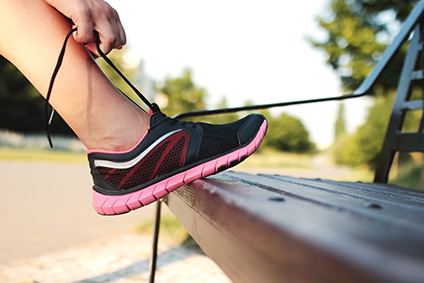 The gentle stretch helps reduce the muscle contracture, inflammation and pain associated with the first step in the morning or after periods of rest. 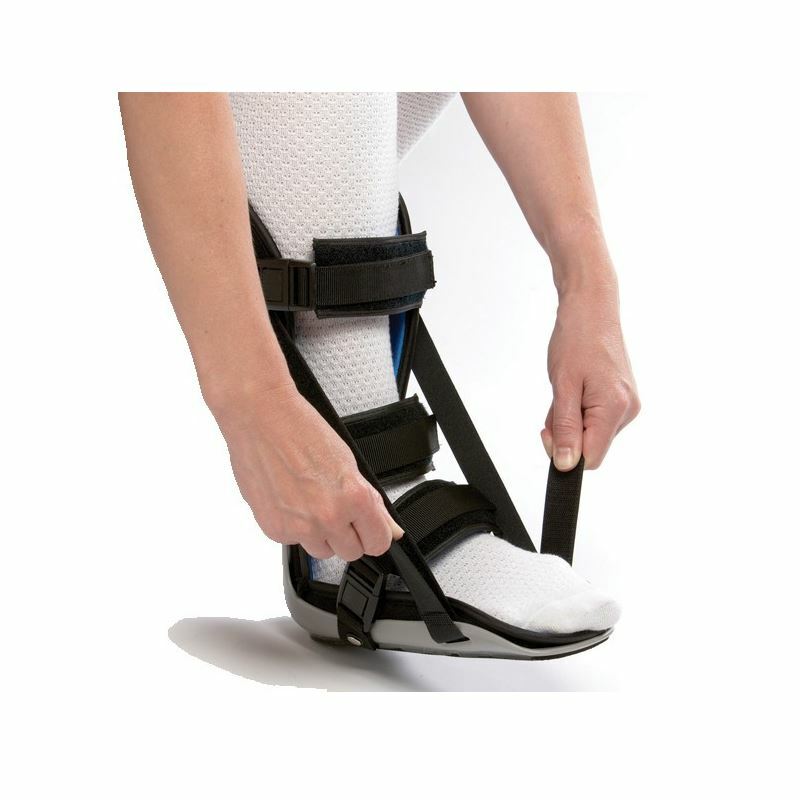 A removable stretching wedge is provided if additional dorsiflexion (stretch) is needed. Adjusts from 90° to 10° dorsi-flexion (bending your foot towards your body). Includes a removable stretching wedge which is provided if additional dorsiflexion (pointing your foot towards your body) if needed. Please note estimated shoe sizes & toe uses are based on average sizes. Actual sizing can very from person to person. We recommend to measure your foot or leg circumference to ensure an optimal fit. Night splint is primarily intended for treating Plantar Fasciitis and Achilles Tendinitis , and may be ideal for other conditions recommended by a physician. 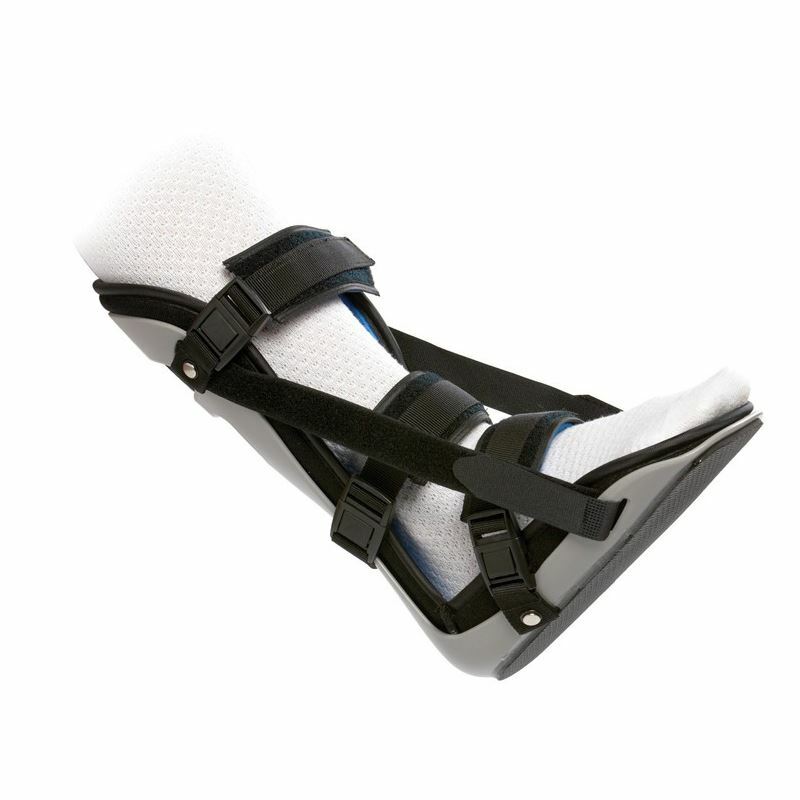 You should not walk or attempt to place weight on the foot while using this splint without approval from your physician. Do not use outdoors, or on slippery or uneven surfaces. 1) Place foot in splint with knee in flexed position to achieve the desired degree of dorsiflexion. 3) If numbness, tingling or other discomfort is experienced, loosen straps until comfortable. If either of these symptoms persist, contact your medical professional. Repeat steps 2 and 3 for the foot strap. 4) Extend the knee to check tightness of the ankle and foot straps. Adjust Velcro as needed. Repeat steps 2 and 3 for the calf strap.